Joel and Melissa's wedding was AMAZING. One of the most delightful evenings. EVER! I'm so excited for them and their new life in St. Louis. I was also super excited to decorate a huge chalkboard (they have commissioned work from me and I illustrated their invites) at their reception at Wolf Den Farms (oh, you know, that place where one of the guys from the Kings of Leon got married). I so appreciate their love of art and community, and that's part of what made their wedding fantastic. Dancing to Motown hits into the night is always delightful too. Sneak Peek at a new oil painting! Picked up a Few Pieces After a Show . . . and These are Available! An ink drawing of a creator. Click to Purchase Artwork Today! 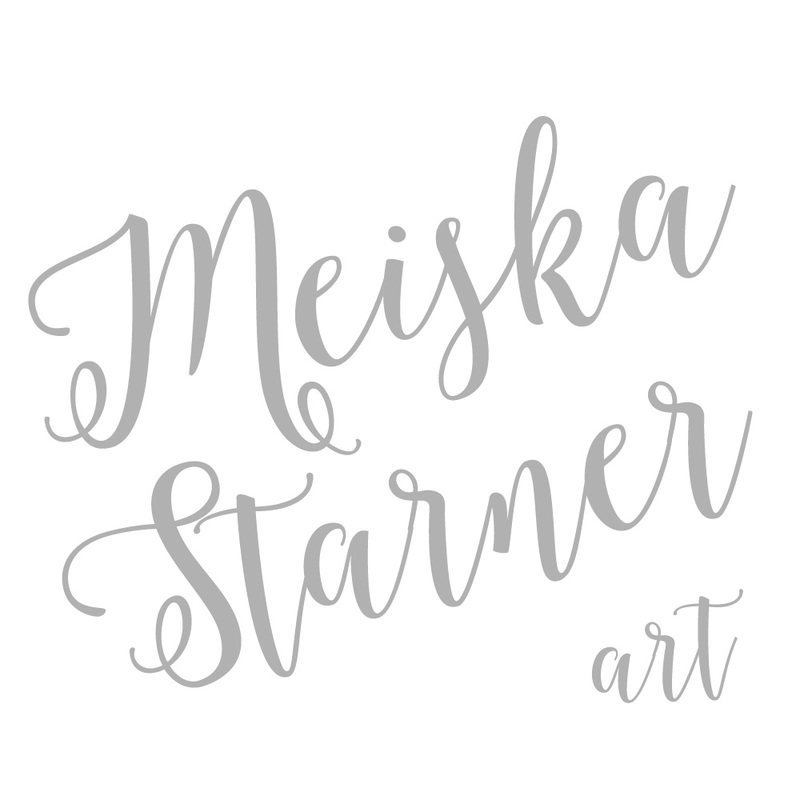 All words and images are © 2006-2016 by Meiska Starner Art & Illustration. Please do not use them without my permission. Thank you.